(other display resolutions available). Choice of 3 widths 450mm, 520mm and 685mm and 4 lengths 910mm, 1000mm, 1150mm and 1220mm. 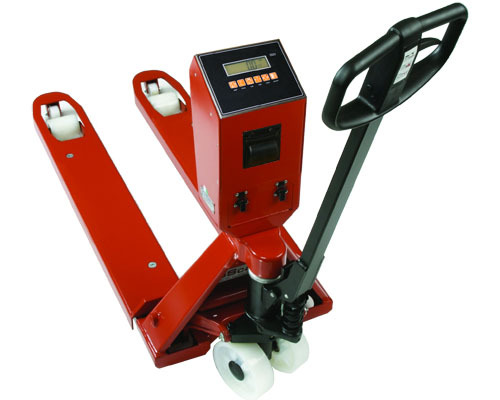 Closed height of the pallet truck scale is maintained at 85mm. Supplied calibrated and ready to use with 12v removable / rechargeable battery and mains plug top charger. The I323 is a digital weighing indicator that is fully trade approved under OIML to 3,000 divisions. The built-in RS-232 serial port is 15kV protected. Two isolated setpoint outputs provide for basic weight-control or level-control functions.